Should civilians be barred from owning body armor? 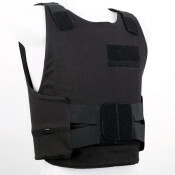 CriminalDefenseLawyer.com – A bulletproof vest, or ballistics vest, is worn over the torso to protect the body from small-arms fire and light shrapnel from explosive devices. Most bulletproof vests consist of many layers of fine, tightly woven fabric (usually Kevlar) that softens and absorbs the impact from high-speed projectiles. Some vests come with either ceramic or metallic plates that are meant to protect the body from rifle fire or larger projectiles. These vests are often worn by the military, law enforcement officials, and hostage negotiators in situations where a suspect may have a firearm or other destructive device. Private citizens, such as hunters, gun store owners, and convenience store clerks, also use them. And so do criminals, hence this article. The effectiveness of body armor is unquestioned—studies have shown that it dramatically decreases the wearer’s chances of death. It is precisely the effectiveness of body armor that has led lawmakers to regulate it so that criminals do not get the protection it provides. Restrictions include laws on how a vest may be purchased and by whom, to criminal penalties for illegal possession or use during a crime. No interstate commerce. The Constitution gives Congress the ability to regulate interstate commerce under the Commerce Clause, which has been cited as underpinning the body armor statute. Defendants have argued that no interstate commerce was involved in the possession or use of the vest. But it was relatively easy to show that a vest was indeed involved in interstate commerce, with yarn grown in one state, woven in another, sewn in another, shipped to another, and ultimately sold in yet one more. Note that homemade body armor that stayed in one state would not fall within the federal law’s provision. Unconstitutionally vague. A law must be clear in order for it to be understood, and if it’s not, it’s a violation of the constitutional guarantee of due process. The federal law has withstood such challenges, but in at least one state, California, the challenge was successful (the state subsequently tightened-up its statute). The Second Amendment. 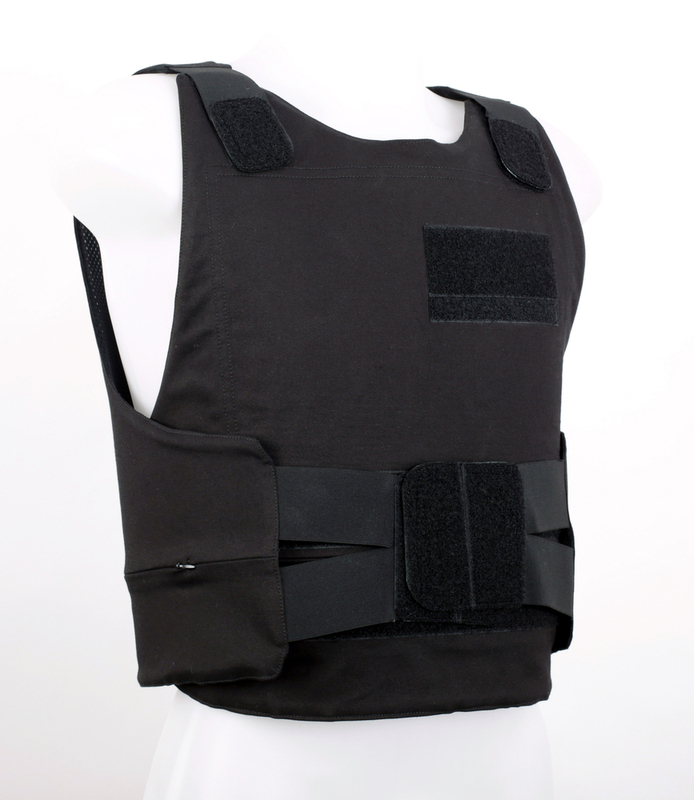 Some have argued that regulating body armor violates a person’s right to bear arms. This argument has not succeeded, either. A majority of the states regulate vests and other body armor, by prohibiting certain people from owning it, to enhancing sentences when armor is used in the commission of a crime (or making the use itself a separate crime). Several states add a term of years to the sentence for the underlying crime. For example, in California, judges may add one, two, or three years (Ca. Penal Code Section 12022.2). Or, a state may elevate the level of the felony if body armor is involved. In Kentucky, use of body armor makes the defendant ineligible for parole. In a number of states, utilizing body armor during a crime is itself a crime. For example, using body armor with a weapon in any offense (or just a violent felony) is a crime in some states. In a few states, mere possession (which is much broader than wearing the item) during a crime is a criminal act. Like the federal law, many state laws prohibit certain convicted persons from possessing body armor. But some states don’t restrict the ban to those convicted only of violent felonies; and may even extend the ban to violent misdemeanors. Other states list the crimes that determine whether an individual may possess the armor. Like the federal law, some states allow possession for specified reasons, such as for work. A few states prohibit the use or possession in specified situations or circumstances, without regard to the criminal background of the wearer. One state prohibits wearing armor on school property or school-sponsored functions (Louisiana), while in Connecticut, sale of body armor must be done in person—Internet and phone purchases are illegal. Do Bulletproof Vest Bans Make Sense? A bulletproof vest cannot hurt anyone—it’s meant to minimize injury. So why is its possession and use criminalized in the various ways explained above? The answer that makes the most sense focuses on those laws that enhance the sentence for a crime committed while the defendant was wearing body armor. Deciding to put on body armor and then committing a crime says a lot about the defendant’s state of mind—his intent to break the law and minimize the chances that law enforcement can hurt or even subdue him. Adding years to his sentence based on this evil planning does make sense. But some laws simply prohibit convicted felons (or misdemeanants) from owning or possessing the items. They are premised on the assumption that these individuals will surely commit more crimes, and the laws strive to keep them from owning anything that will facilitate those future crimes. This ignores the fact of rehabilitation. Besides, night vision goggles, police scanners, and radar detectors are all legal, and could aid a criminal in his planning, perpetration, and escape—yet they are not illegal to own or use.